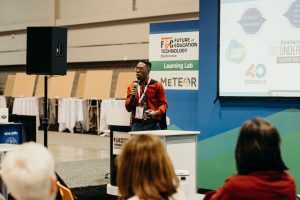 The National Future of Education Technology Conference (FETC) has announced that the application process is now open for the 2019 FETC Pitchfest, a competition that will allow 15 trailblazing startups to present their products and services to the conference’s educator attendees and a panel of judges, who will combine to determine the hottest tools and resources coming to the edtech market. Presented in partnership with Arc Capital Development, Pitchfest gives founders and creators the opportunity to share their product offerings and innovations while engaging directly with educators, analysts and investors. To be considered for participation, education technology companies must apply before October 26, 2018 at fetc.org/pitchfest. Participating companies in the FETC Pitchfest represent the best-of-the-best startups featuring cutting-edge tools and services. Industry accelerators are invited to nominate up to three companies, and startups who are exhibiting in the Startup Pavilion or in a booth may apply. Companies selected to compete must have a minimally viable salable product, customers and enough cash to have a viable business, and the principals must be working full-time in the business. Accelerators who nominate Pitchfest participants must commit to promoting the competition and the conference in a minimum of 10 total tweets, LinkedIn posts, and/or blog posts, and must also commit to having selected companies participate in the Startup Pavilion or an exhibit booth. 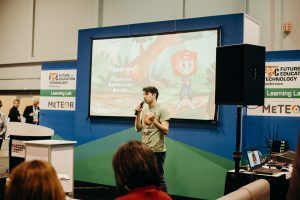 The first round of the 2019 FETC Pitchfest will take place on Monday, January 27, followed by the final round on Tuesday, January 28. A unique panel of judges, including superintendents, administrators and CIOs, is selected from a broad range of backgrounds in education and education technology. In each round of the event, judges’ voting will account for 70 percent of the final score, while audience voting will contribute the remaining 30 percent. The Pitchfest winner will have the opportunity to present to the VIP group, comprised of superintendents, CIOs, and other administrators, in the FETC VIP Lounge on Wednesday, January 29, and will also receive a complimentary 10’ x 10’ exhibit space at FETC 2020 in Miami. Companies applying to present in the FETC Pitchfest must plan to secure a booth in the conference’s Expo Hall or a space in the Startup Pavilion. The FETC Startup Pavilion, available to companies that have launched within the past two years, gives new companies the opportunity to gain critical exposure. Learn about all exhibiting opportunities by visiting fetc.org/exhibit. FETC 2019 will include more than 600 diverse learning opportunities, including more than 175 intensive workshops and 425 targeted sessions in five updated program tracks: Future of Ed Tech Educator, Future of Ed Tech Administrator, Future of Ed Tech Information Technology, Future of Ed Tech Inclusion & Special Education and Future of Ed Tech Early Learning. In addition to the Startup Pavilion, FETC’s industry-leading expo will include an Early Learning Pavilion, Game Based Learning Pavilion and Hands-On Technology Lab. The conference’s new schedule will begin on a Sunday, allowing attendees to participate in professional development workshops without time away from their students. Registration is now open for the 2019 Future of Education Technology Conference. For additional information and to register, visit fetc.org/register or call toll-free 1-800-727-1227. Educators who register before November 16, 2018 will save up to $150 by securing the Super Saver rate.